Refresh your game and puzzle closet for the summer! 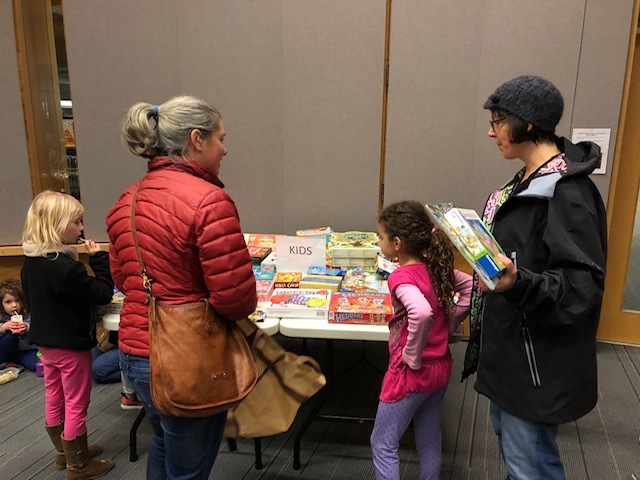 Our next swap is Tuesday, May 7 from 6:30pm to 7:30pm at the Ballard Public Library Community Room. Please make sure all of the pieces are included in the games and puzzles you bring to swap. We’re also looking for volunteers to join the Board Game and Puzzle Swap team! The events happen 3-4 times a year, and duties might include planning, outreach, setup, checking in attendees, clean-up, and keeping the games at the tool library in good order. If you’re interested, please contact Shanon at shanonlyon@gmail.com.